home-like ambiance, our cottages let you enjoy the calm, quiet joy of the country, without sacrificing any of the conveniences you love. All Cottages have private bathrooms for every bedroom, high speed Internet, satellite television, private parking, washer and dryer, full kitchen, wet bar, fireplace, and a lakeside porch with a second fireplace and outdoor cooking area. 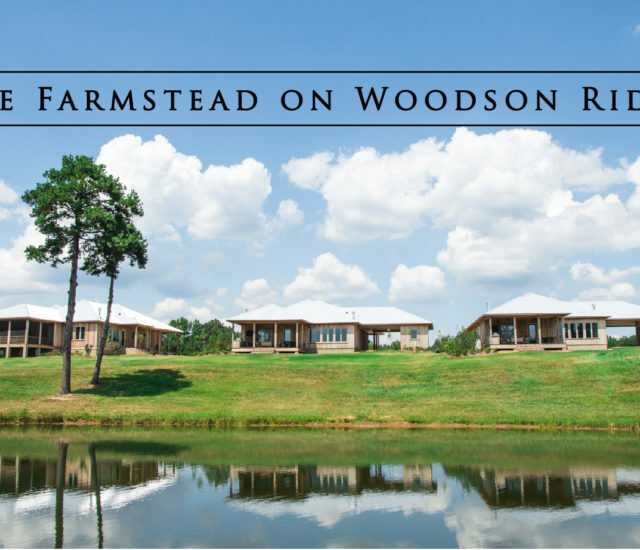 An innovative lockout floor plan makes the Cottages at The Farmstead adaptable for almost any type of overnight stay. All or part of a Cottage may be occupied by your group or family, or individual suites and rooms may be reserved to accommodate a couple or a single guest. Our experienced hospitality staff will gladly assist in tailoring your reservations to meet your lodging requirements. for all Ole Miss home football games.